Gary Moore was a guitarist of many different styles. He played rock and metal but his true love was the blues and in his later years he was primarily a blues musician. I became a fan of Moore a little over a year ago, due to his rock/metal albums of the 80s, but have been wanting to give his blues work a try as well as I’ve read that a number of them are quite amazing. Sadly, despite a couple of short runs as a member of Thin Lizzy and some solo success in the UK, Moore went virtually unnoticed by the mainstream. He was a talented musician that never achieved the recognition that he deserved. Perhaps, in his death, many will be inspired to listen to his music. From the handful of Moore albums I have heard, “Victims of the Future” is my favorite song of his and here’s a great live version of it. This is my second Gary Moore purchase and it isn’t quite as good as Victims of the Future, but it is still an enjoyable listen. 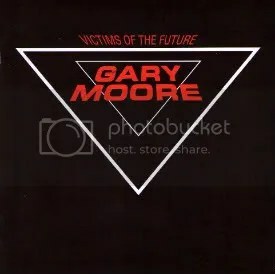 Victims of the Future was the follow-up to this one and that album displayed Gary Moore in full-on hard rock guitar hero mode, but this album sees him straddling the line between hard rock (the great opener “Don’t Take Me for a Loser”) and pop (the guilty pleasure slice of cheese balladry that is “Always Gonna Love You”). My favorite song from this album is “End of the World” which starts off with two minutes of Moore showing of his incredible skills and this hard rocker would have easily fit on Victims of the Future. This one has been reissued a number of times with varying bonus tracks, most interesting to me is a 2000 reissue with a seven minute version of “Empty Rooms”. Would’ve been nice to have that one instead of three variations of “Falling in Love with You” on one album. With high praise coming in from all sorts of places, this was my first Gary Moore purchase… What a place to start! I’ve read up enough on Gary and his albums to know that the blues is his true passion, but this is one heck of a hard rock album. Victims of the Future is from Moore’s early ’80s heavy metal period that started with 1982’s Corridors of Power and with songs like “Victims of the Future” and especially “Murder In The Skies”, it’s a shame Moore didn’t become a huge guitar god act in the U.S. Why the United States rock/metal-buying public didn’t latch onto this album and cling tightly to it, I’ll never know. As soon as I heard “Victims of the Future”, I was hooked. It’s a great piece of hard rock and is followed up by another outstanding rocker in “Teenage Idol”.The ballad “Empty Rooms” is another highlight of the album and I like the ’84 remix bonus track just as much. The album’s real centerpiece is “Murder In The Skies” which features some really amazing heavy metal guitar work from Mr. Moore. I wouldn’t really say this album is very much in line with what the general definition for “heavy metal” is these days. The only song that comes close to that, well, the only song that actually is that is “Murder In The Skies”. The rest is a nice blend slick rock (“Shapes Of Things”, “All I Want”, “Hold On To Love”) and hard rock (“Law Of The Jungle”, “Teenage Idol”, “Victims of the Future”). Even the bonus tracks are good. “Devil In Her Heart” is a heavy number worthy of standing alongside “Murder In The Skies”, “Blinder” is a nice instrumental that sounds like something maybe Steve Vai would do, and remix of “Empty Rooms” is a good slab of slick ’80s rock/pop that I happen to like. I’m assuming this remix is the version taken from Moore’s 1985 album Run for Cover, where he rerecorded it. 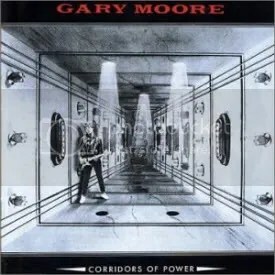 Anyone who isn’t familiar with Gary Moore and this album specifically is really missing out and I’m extremely happy I decided to purchase it.